Boasts 46 Highway MPG and 51 City MPG! 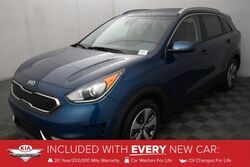 This Kia Niro delivers a Gas/Electric I-4 1.6 L/96 engine powering this Automatic transmission. 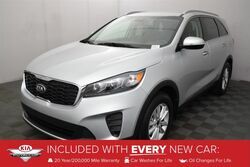 SILKY SILVER, LX ADVANCED TECHNOLOGY PACKAGE -inc: Autonomous Emergency Braking, pedestrian detection, Smart Cruise Control, Forward Collision Warning System, Lane Keep Assist System, Front Fog Lights, LED Daytime Running Lights, Leather Wrapped Steering Wheel, gear shift knob, GRAY, CLOTH-TRIMMED SEATS. 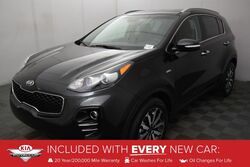 Wheels: 16" Alloy w/Cover, Variable Intermittent Wipers, Urethane Gear Shift Knob, Trip computer, Transmission: 6-Speed Dual-Clutch -inc: sport mode, Tires: P205/60R16 Michelin, Tire Specific Low Tire Pressure Warning, Tailgate/Rear Door Lock Included w/Power Door Locks, Strut Front Suspension w/Coil Springs, Spare Tire Mobility Kit. 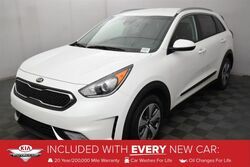 Come in for a quick visit at Kia of Puyallup, 111 Valley Ave NE, Puyallup, WA 98372 to claim your Kia Niro!